Some students take psychology...others experience it! Informed by student data, Experience Psychology helps students understand and appreciate psychology as an integrated whole. 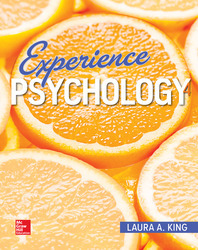 The personalized, adaptive learning program, thought-provoking examples, and interactive assessments help students see psychology in the world around them and experience it in everyday life.